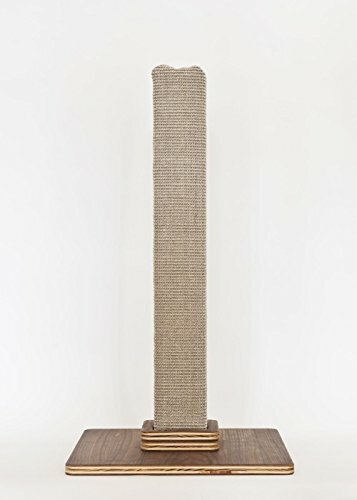 The Classic post pays homage to the original Felix scratching post that was first manufactured in the 1930s! The Felix Tall Cat Scratching Post stands approximately 28" high and is recommended as it gives your cat extended surface to scratch and exercise. The post is handmade using natural sisal, certified organic catnip, and real wood that is certified by the Sustainable Forestry Initiative. The base is 16" x 16" and is made of real walnut wood veneer. Assembly required.